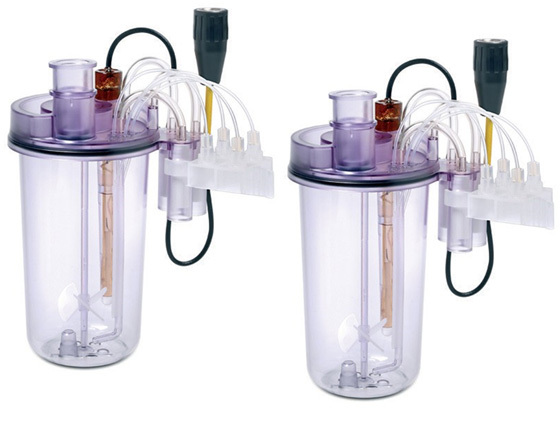 ambr® 250 high throughput is a fully automated bioreactor system for parallel fermentation or cell culture using 100-250mL single-use bioreactors controlled by an automated liquid handling platform. The system provides a high precision environment that supports the demands of microbial fermentation and mammalian cultures. 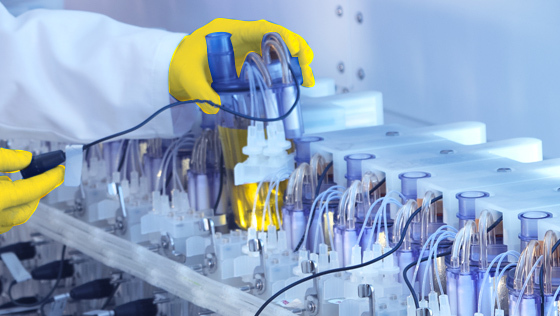 ambr 250 high throughput provides a rapid and reliable scale-down model to explore a wide range of conditions with excellent scalability to larger bioreactors. 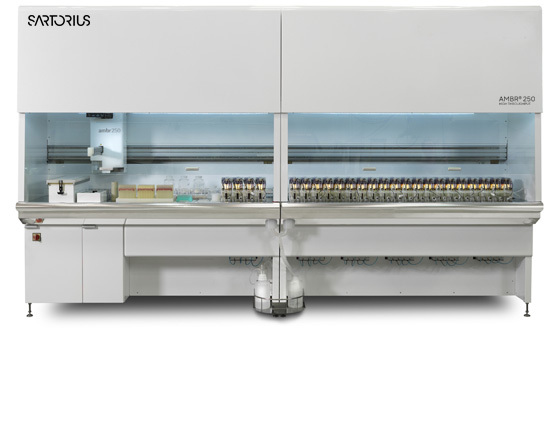 ambr 250 high throughput workstation offers independent, parallel control of 12 or 24 single-use bioreactors (100-250ml working volume). 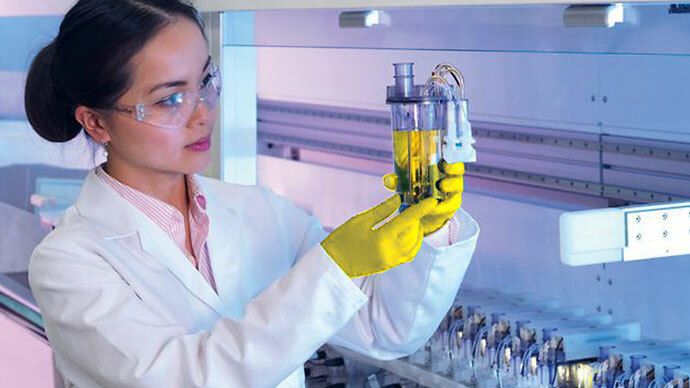 Single use 100-250ml bioreactor vessels have been developed for use with the system - avoiding the need to clean reactors and sensors between runs. 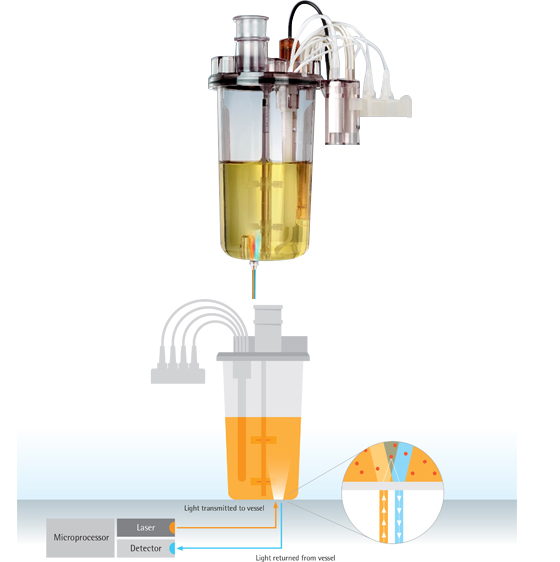 The design includes a novel "easy connect" process enabling all gas, liquid and sensor connections to be made, quickly and simply, for fast turnaround between experiments. A range of integrated cell culture analysers are available for the ambr 250 high throughput system. View further information and request copies of the latest ambr 250ht technical notes and bibliography. 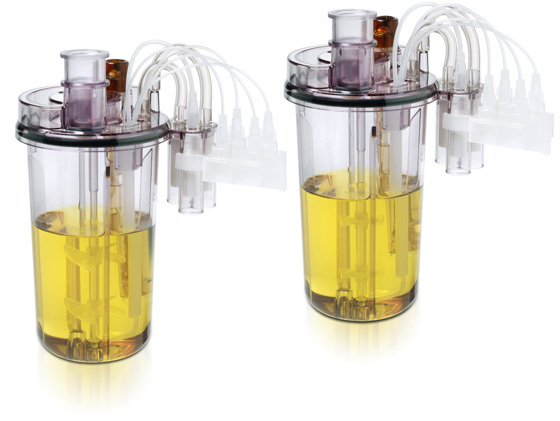 "Accelerate Your Process Development With High-Throughput, Single-Use, Fully Automated Bioreactors." 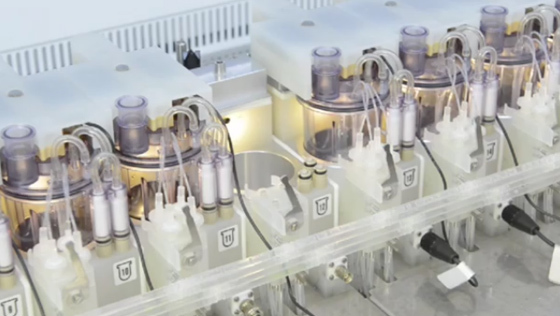 View video of the key ambr 250 high throughput workstation processes.